See that person smiling opposite you on the tube? There’s a good chance they’re from south London. 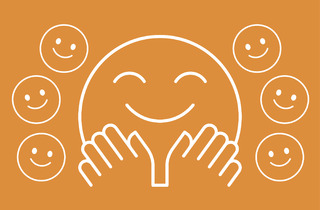 Our latest Time Out Index has revealed that those from south of the river are the most positive people in London: more than 80 percent of south Londoners said they had felt happy in the past 24 hours. And we think we’ve found the reason why: post-shred endorphins. Lycra-clad south Londoners are pretty health-conscious all round – they’re the least reliant on coffee, cigarettes and checking emails – but they also care more than anyone else in London about keeping fit, with 68 percent of them working out each week. And if that wasn’t enough, south Londoners do the most cooking too. Sure, there might be heaps of trendy restaurants opening down south (many in Brixton and Peckham, which came in at first and second as the city’s most underrated neighbourhoods), but locals know food always tastes better when you make it yourself. Fancy some of those sweet endorphins? Check out some of London’s best alternative fitness classes.